Place Orders and get free Quotes on the go! $10 for Left Chest / Cap Digitizing and Vector. Get a quote here! Custom embroidery digitization allows us to be more creative with embroidered products. It paves the way for customizing the embroidery and introducing a personalized tang in designs. This innate flexibility and capacity to experiment is a discerning characteristic of embroidery. Utilizing custom embroidery digitization, we can tap into this opportunity and, thus, efficiently bringing original embroidery designs to life. Embroidery is about pushing the limits. It is about coming up with novel and unique custom concepts and eventually embroidering them. This is something not easily achievable with many other apparel decoration techniques. And we really love embroidery for that. 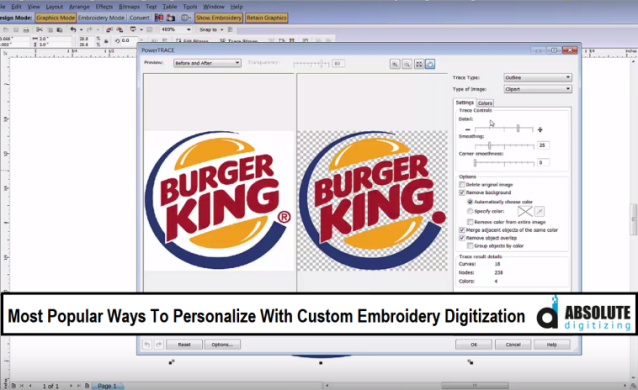 Therefore, we will look into most popular ways which are used to customize embroidery. Monogramming is probably the most primitive way of customization. It is widely used on numerous apparels including T-shirts, dress shirts, jackets, totes and there is a long list to follow. It is the ease of monogram placement across various areas on garments that encourages its extensive use. Also, another factor that contributes to this popularity is an easy up sell for embroiderers. When we talk about customization, we are specifically talking about the monograms that contain customers’ initials. Monograms consist of two or three initials depending on customer requirements. Every customer has their own preferences and this is what customization is all about. For instance, in case of married couples, a popular customization style is to have the surname in the middle while initial of spouses are placed on either side. 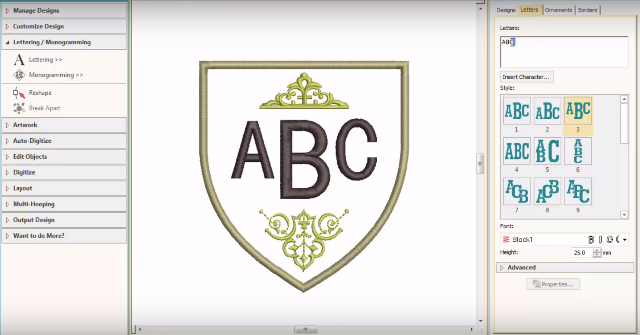 During embroidery digitization of monograms, pay special attention to fonts. They allow you to incorporate a variety of styles. From simple block fonts to swirling fonts, they can be used to come up with intricate and innovative monogram ideas. This is once again a popular form of customization. Customized embroidered products are ordered for numerous family events. There are products that are more popular than the others. But, these products go in the background, once embellished with embroidery designs. Consider a the commemoration of a newborn baby. Embroidered towel or a blanket with name, birth date or a personal message for the newborn creates a perfect gift. 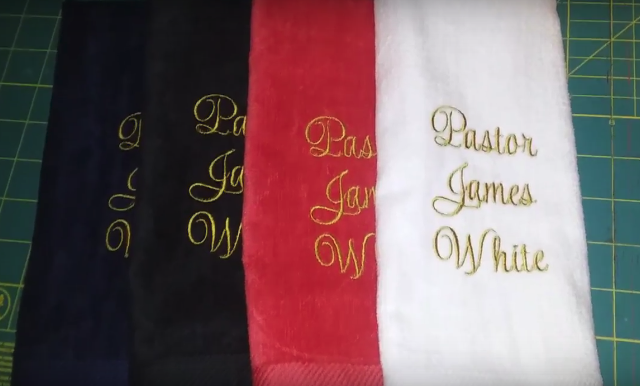 Unlike a plain towel or blanket, a customized gift is valued and remembered much more. Lofty products like towels and blankets require special attention as they are easily buried under the signature loft. To avoid this, use high-quality topping to ensure that letters are intact and readable. Weddings are another occasion where customized gifts intrigue attention and fascination. From birthdays, graduations, family reunions to anniversaries- embroidered products always make great gifts for family events. This has to do with the durable and longstanding nature of stitches. Consequently, embroidered designs do not easily wither off. This makes them an ideal choice for use in commemoration gifts, which are cherished and rejoiced for years to come. Since these orders are not commercial in nature, always use best supplies and materials to get the very best from runs. Also during custom embroidery digitization, pay close attention to the nature of garment or product used. These are one-off pieces and even the smallest details will be noted by the customer. If the design is embroidered on an expensive or rare product or garment, extra care is required. Make sure that needles are replaced to ensure a clean and smooth run. In terms of business and volume, this is without a doubt the most important type of personalization. The customization industry for team jerseys, equipment, and kits, is huge. Most likely, it will grow in years to come as there is no evident impediment in sight. As an embroiderer, it should be pleasant to know-but there is a hinge that makes the prospects a little less exciting. Logos, names and even the colors of sports teams at most levels are trademarked. In order to reproduce or replicate them in any form a valid license, authorizing the use is required. Using any team’s trademarked items is very risky as it is clearly illegal. Professional clubs and teams earn substantial revenues by selling their merchandise. Using licensed items can bring in severe legal action from them. 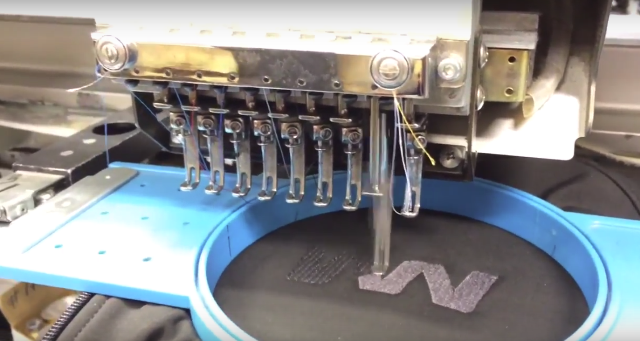 As a small-scale embroiderer, you can capitalize on local high school and corporate teams. If you can manage to get affiliated with few local teams, this option too is pretty rewarding. In this large industry, it is easy to get trapped. Play it safe. Get yourself what is legal and look for opportunities to upsell those orders. Moreover, it almost always ensures repeat business, given the customer is satisfied. Customized corporate uniforms are popular in many parts of the world. They are considered a fundamental for corporate branding. Adhering to this notion, many businesses, especially in the service sector have custom embroidery logos on their uniforms. Apart from promotions and branding, customized uniforms are believed to incur a sense of pride, ownership, and loyalty in employees as well. Embroiderers should try to partner with corporations as they offer potential long-term collaboration. Firstly, there are events and office occasions that require customized items. From caps to dress shirts, and other decorations, custom embroidery has its place in corporate events. Secondly, there will always be new employees joining the companies. This means repetitive orders. Both these reasons indicate the potential for long-term business. 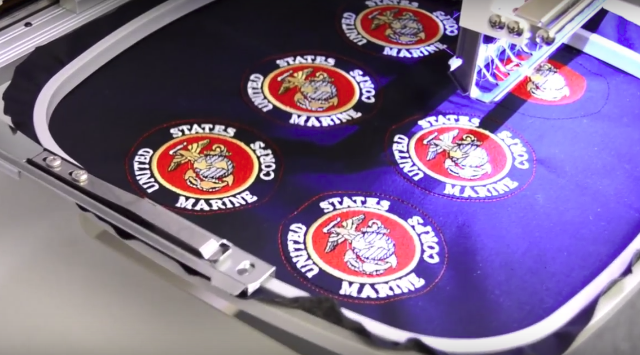 For an embroidery owner, all these personalizations offer rewarding avenues. Sweating these orders makes sense as embroidered products will create a word of the mouth for your business. There are chances for a new customer, every time an impressed friend inquires about a greatly done design from an existing customer. Implementing these personalizations require multiple digitization skills. Therefore, a holistic understanding of custom embroidery digitization is necessary. If it is not a one-off hobbyist thing, personalizing embroidered products require a well-versed skill set. This includes; background embroidery knowledge, digitizing skills and lastly, a professional embroidery digitization software. Clearly enough, not everybody is in a position to do their custom designs. For that, our cheap custom embroidery digitization service is here. Get digitized designs at only $1/1000 stitches. We offer top-notch digitizing for the lowest costs and quickest turnaround. © 2017 Absolute Digitizing. All Rights Reserved.